For nearly three decades, area bell ringers have gathered at least once per year to offer a joint performance. 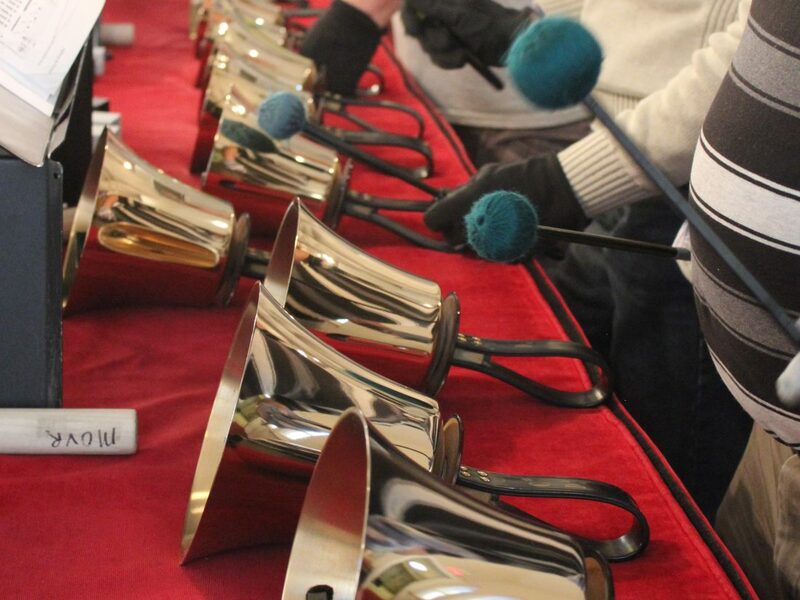 The 29th annual Spring Ring will take place Sunday evening at the Basilica of St. Mary of the Assumption, joining together four hand bell groups for one night. “So there are 73 bells in a regular set, so about 200 bells will play Sunday with about 180 hand chime instruments,” explained Holmes, noting that the other three groups participating Sunday are the First United Methodist Church of Parkersburg, and two Marietta church hand bell choirs from Christ United Methodist Church and First Presbyterian Church. On Sunday the Catholic church will resonate with the tunes of Jubilation by Fred Gramann and other hymns. Jimmy Sundquist, 29, of Little Hocking, plays not only with the Mid-Ohio Valley Ringers, but also with his church in Parkersburg. Irvine said she started ringing in 1980 with Dr. Ray Lowther and loved to teach the instrument to students because it was inclusive and accessible. “It’s a great ensemble instrument and was wonderful for the seventh and eighth graders I taught,” she said. Holmes explained that most ringers are in charge of two bells on a musical staff, and the associated sharps and flats that go with those two notes. “Well, unless you’re like Jimmy and have handfuls,” she smiled. The program Sunday is to be preceded by the only joint rehearsal of all four groups, she said. The performance is free and family friendly. ¯ What: 29th annual Spring Ring. ¯ When: 7 p.m. Sunday. ¯ Where: Basilica of St. Mary of the Assumption, 506 Fourth St., Marietta. ¯ Who: Bell ringers from the following groups will perform together between solo performances by each group. ¯ First United Methodist Church, of Parkersburg. ¯ Christ United Methodist Church, of Marietta. ¯ First Presbyterian Church, of Marietta. ¯ The event is free and open to the public. ¯ The performance is expected to last about one hour.